Alberto Moreno says his relationship with Jurgen Klopp is strained and that he could leave in January if the right offer comes up. The 26-year-old, whose contract expires next summer, has seen his first-team chances limited since Andy Robertson made the left-back berth his own, and has hit out at the way Klopp has treated him. Sky Sports report that Moreno told a Spanish radio station: “I do not feel good, that is the truth. “I hurt myself giving everything for this team. When I came back from injury, I deserved an opportunity. I did not like the way he (Klopp) has treated me, you can say that. “Moving back to Spain is something I have thought about. I am tired of the cold here but I do not know about interests from other clubs. With Robertson performing at the level he has, Moreno has no right to feel aggrieved that he is not starting at the moment; few Reds fans would be heartbroken to see the back off him, in truth. He has started twice this season – in wins against Burnley and Cardiff – but Robertson is so far ahead of him there is simply no argument over the pecking order. 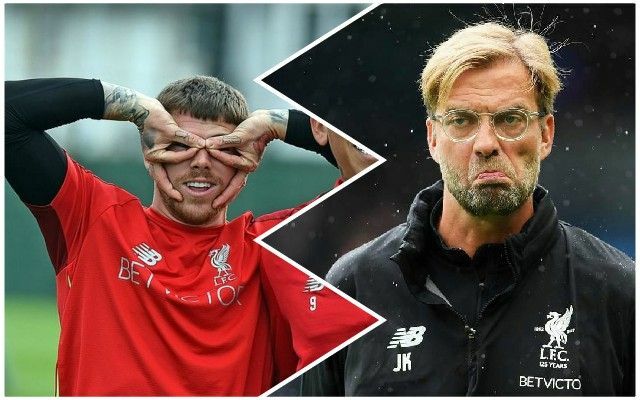 Having criticised Klopp, it is perhaps unlikely that Moreno will play for the club again, although cover will have to be found before he can move on. Adam Lewis, a regular for the U-23s, has been training at Melwood and is seen as the long-term replacement for Moreno, but it is unclear for now whether Klopp sees him as a viable alternative to Robertson from January onwards.